The weather on Amorgos is unique in the Cyclades due to the geomorphological features of the island. It’s orientation dictates that air masses reaching the area are affected differently to that on other nearby islands. It is the driest of all the islands receiving approximately only 340mm of rainfall a year. 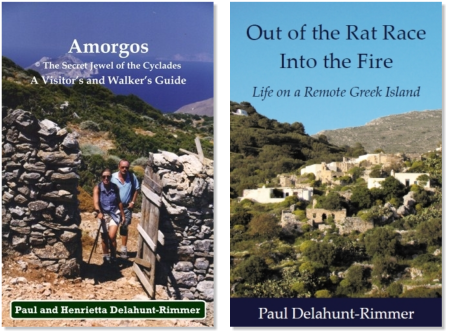 This doesn’t mean that Amorgos is barren, indeed quite the opposite. The geological structure maintains the winter rains resulting in a green and fertile island covered in flowers in the spring. The East/West orientation of the 800m high mountain ridge results in moisture forming by orographic lifting in the prevailing Northerly meltemi summer winds. Consequently, the autumn bulbs flower in the late summer before even the first rains have arrived. Greece is not however, ‘summer all year around’ as some tour operators would wish you to believe. On Amorgos is not unknown to be able to lie in the sun on the beach on Christmas day. However it is also not unknown for there to be a covering of snow on said beach in February. It is nevertheless, a long dry summer with many hours of sunshine. Click the links in the weather panel to find further current weather information or an up to seven-day weather forecast for Amorgos. Please note: Special Interest Holidays is not responsible for the quality of services or the content offered by third party links on its website.